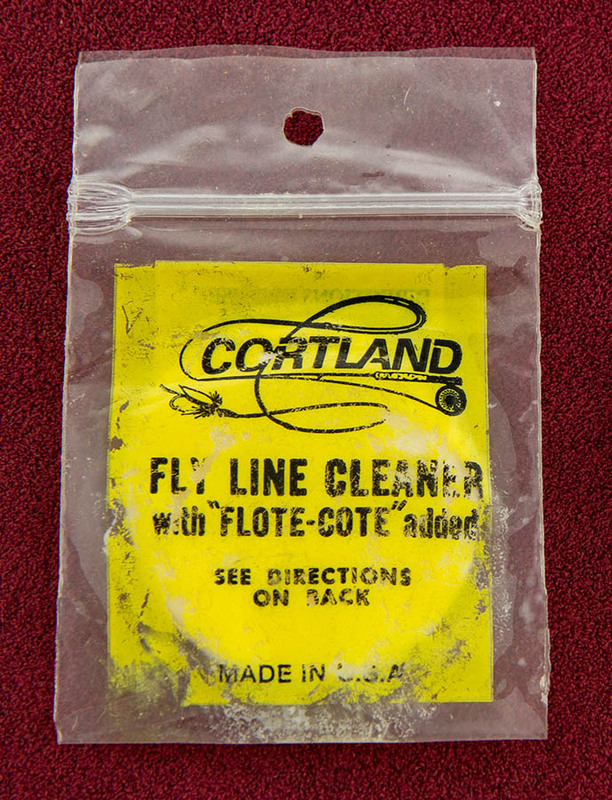 Since my first fly line, I’ve used Cortland Line Cleaning pads. They included one with a new line to get you hooked on it, and in my case it stuck. Since I use a dry line 99% of the time, I usually start my day with a quick pass of the pad over the first 25 – 30 feet of line. A couple times through the day, I’ll notice the tip of my line starting to sag into the water, so another quick swipe and I’m back to floating like a cork. I love those little circles of felt with embedded paste floatant. Every few years I’d buy a handful. They came three pads to a zip lock bag. Perfect to throw in a vest or wader pocket. Weighs nothing, works great. The ideal product. Even better, they stock them at Walmart. I couldn’t wait, so ran into town to pick up a couple of the new plastic containers that hold two, instead of three of the pads. But at $2.00, I wasn’t about to complain. Getting into my car, I opened the package. That’s when the smile left my face. The new product may work fine to clean a line, but the pads are about half the thickness of the old felt pads. And the cleaner is a thin substance that doesn’t even soak to the edge of the pad. In practice, it doesn’t help nearly as much with floatation as the old pads. My wife tells me to make my own pads. I might have to do that, but I have flies to tie, books to read and other pressing business. I didn’t want to have to re-invent the wheel. I just wanted to pick up another handful of the old pads. Just too much to ask, I guess. You can see the difference between the pads in this picture. See the difference in the pads. they are thicker than the Cortland pads . They dont cost much for a packet. 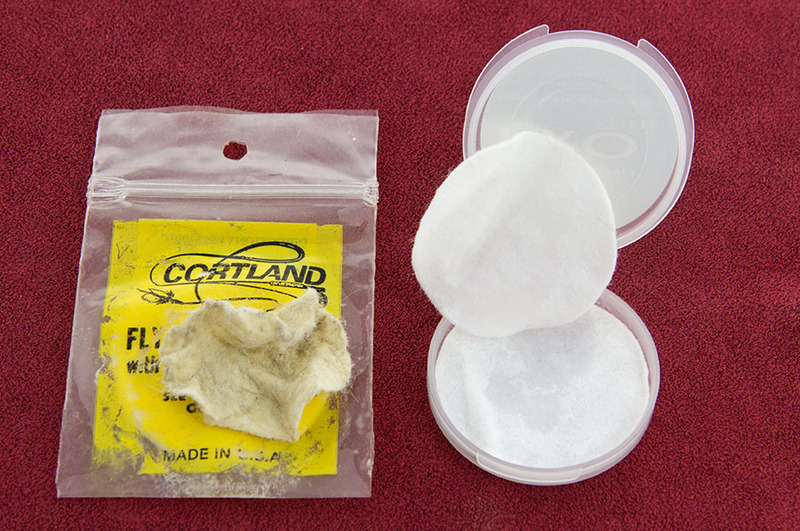 If they dont fit in the plastic container, they will fit your old sealable bags. Well maybe I finally found a solution to my dilemma(?). I’ve been trying to find a decent line dressing for several months. I, too, used the Cortland pads that came in a zip-loc bag and they were great. I still have the last pad and it looks worse than your pad did. 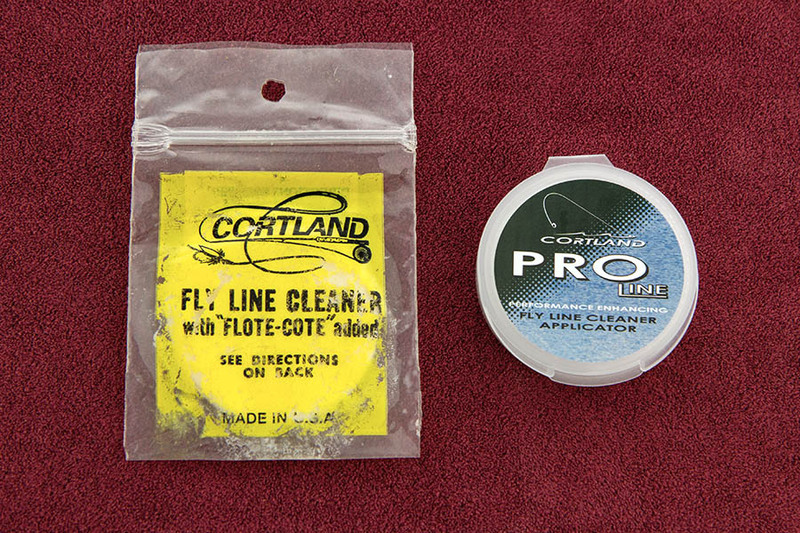 I have been putting Umpqua’s Glide on the pad but it just doesn’t do the same thing as the Cortland dressing. I have already made three pads out of an old blue T shirt that I wore out. I sewed them up to be about the same thickness as the pads were. I guess I’ll pay a visit to Walmart and see if they have the Pro version there. Thanks again for your help. The struggles we have to face. It’s always hard when you have a simple, effective tool and they have to make it “new and improved” or stop making it.